Smartphone maker hopes that 5G will be the “silver bullet” that returns the market to growth have been strengthened by a new report that claims shipments will rise 4.1 per cent to 1.6 billion in 2019. All of this has contributed to a lack of new markets to exploit and longer device refresh cycles. “For too long, major vendors have been lambasted for upgraded devices looking far too similar to their predecessors, with iteration rather than design innovation becoming the norm,” says David McQueen, Research Director at ABI Research. 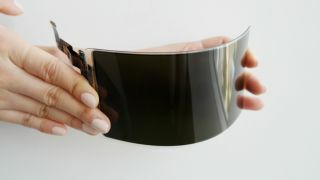 ABI Research believes 5G, along with flexible displays, will act as a catalyst for the market. 5G networks will offer faster mobile broadband speeds, but it is the new applications that will be enabled that has analysts excited. Greater capacity and low-lantecy will make connections more reliable, helping usher in new user experiences in the fields of voice, Artificial Intelligence (AI) and biometrics. The first 5G smartphones will arrive in the first half of 2019 and continue throughout 2020 – the year that Apple is expected to release its first compatible handset. However, there is a warning that it will be the responsibility of manufacturers to convey the benefits of 5G devices and applications to consumers. A separate study from the GSMA found that there is a lack of 5G awareness and this could harm adoption. Only half of people understand 5G means faster speeds and only a quarter expect 5G networks to deliver new types of services. Just a fifth acknowledge 5G will enable new types of devices. “It is incumbent on major smartphone vendors from Apple to ZTE, to ensure that they remain competitive in the next 18 months as these new technologies are introduced, continually providing a set of captivating and effective innovations in their portfolios,” concludes McQueen.